As of this writing, no animals at either Downtown Aquarium or Texas Zoo had been reported as lost. 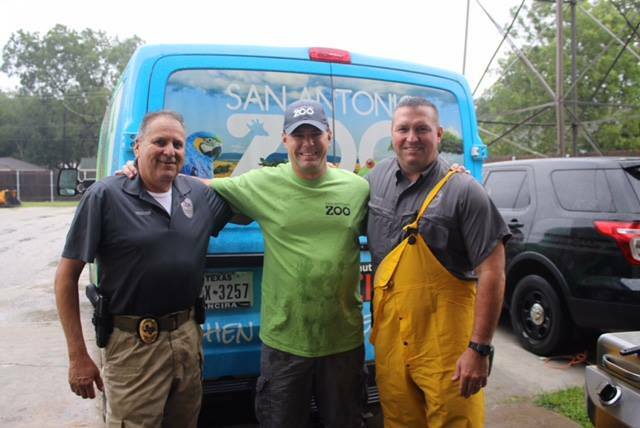 8/30/17 — InPark Magazine would like to thank Tim Morrow, CEO and Executive Director of the San Antonio Zoo, for taking the time to speak with us in the midst of coordinating rescue efforts for two Texas zoological institutions damaged by flooding in the aftermath of Hurricane Harvey. On August 25, Harvey made landfall in the United States near Corpus Christi, Texas. It then reversed direction, picking up additional strength as it skirted the Gulf coast, eventually depositing record rainfall in the Houston and Galveston areas. While museums such as the Galveston Arts Center and the Houston Museum of Natural History implemented plans to safeguard their collections, a much different situation exists with the Downtown Aquarium in Houston and the Texas Zoo in Victoria, whose animals’ lives were now at risk due to life support system issues and facility damage. Due to the unique and unexpected situation caused by the flooding, the San Antonio Zoo, SeaWorld, and their partners, immediately put into place an effort to enter barely accessible territory in order to provide both staff and material support. Many of the Emergency Action Plans utilized by Texas zoos and aquariums are based on the impact of 2005’s Hurricane Katrina on counterpart institutions in Mississippi and Louisiana, such as Audubon. What’s learned from the experience with Harvey will build on the knowledge from Katrina and become part of the Emergency Action Plans of Gulf Coast zoos for years to come. InPark spoke earlier today with Morrow while he was coordinating efforts for the Texas Zoo. How did the rescue efforts come about and how have they been coordinated? Prior to the storm, the two facilities of concern based on the models at that time were the Texas State Aquarium [in Corpus Christi] and the San Antonio Zoo. Prior to the storm hitting, we all started communicating to ensure we kept in touch with each other. Once the storm stalled and started drifting east (already the dirty side) of the hurricane, we turned our focus to the Houston Area and Galveston. Over the weekend, Downtown Aquarium in Houston notified us that they needed help. Immediately, we started working on plans to get them what they needed. We sent an email out to the other zoos in Texas within range to assist. We started identifying who had crates we could use if needed, who could hold animals if needed, who could send people and then tried to figure out how we would even get to them. We’ve also been in close contact with USDA. They were the ones that informed us that the Texas Zoo needed assistance. San Antonio Zoo reached out to them and the same process with all the zoos in Texas started for this location. Yesterday, we were able to get 3 of our staff into the facility to assess the damage and plan for what we need to bring. Currently our plan is to go in tomorrow. Teams from the Fort Worth Zoo, Animal World Snake Farm and SeaWorld will be joining us. They have significant damage from the initial storm and today face flooding issues so the teams will be made of maintenance, horticulture and animal care staff. All the teams will meet in San Antonio tomorrow morning then move in. What kind of support came from the Association of Zoos & Aquariums (AZA) and the Zoological Association of America (ZAA)? 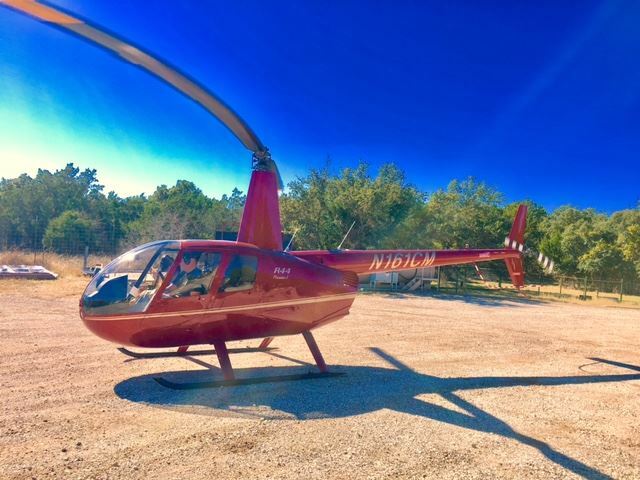 AZA, ZAA, USDA and private facilities have all been helpful in connecting members for access to equipment, potential holding space, and expertise. From there, San Antonio Zoo has combined these into one distribution list which everyone is currently using to communicate. 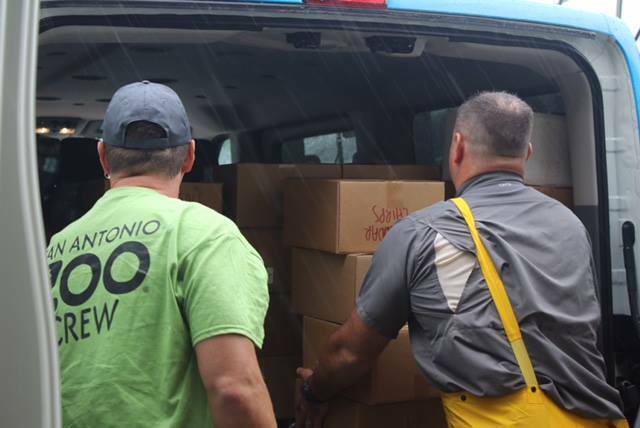 In addition to its zoo and aquarium rescue efforts, the San Antonio Zoo worked with the Eagle Lake Sheriffs Department to deliver humanitarian supplies to the people of Houston and first responders. Photos courtesy San Antonio Zoo. How are the rescue efforts being funded? Currently San Antonio Zoo and SeaWorld are funding these efforts as are the other zoos that will be joining us tomorrow. San Antonio Zoo has set up a page for people to donate to and assist in these efforts [click link to be sent to the donation page]. We have been doing updates via social media and, of course, traditional media has been involved with the story, so people wanted a way to help us. We understand that we can possibly be reimbursed for the efforts thru the Stafford Act, but at the moment that is not our concern. Our focus is getting in to assist. What lessons can the zoo/aquarium community in both Texas and worldwide learn from this event for dealing with future catastrophic events? I think this tragic event is really showing how social media, apps and our phones can be used to get help and keep people informed even when isolated and without power. The use of this medium if we are ever in crisis is something we are already talking about. Reputable zoos have Emergency Action Plans and after events like this those, plans are reviewed, even if your institution wasn’t affected directly. The review of our action plan has already begun. I think you have to plan for the worst and hope for the best. This unprecedented event – really working through scenarios that may not seem obvious based on historical data – is critical moving forward. Once you can play out those scenarios, the answers to what you need to address will become more clear and this needs to go beyond your facility walls. In these situations, you need to know who has the ability to come help you.